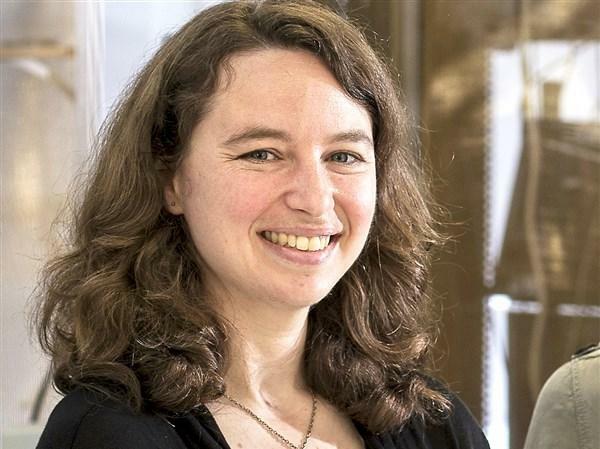 Carnegie Mellon University neuroscientist Aryn Gittis was named a finalist for the Science & PINS Prize for Neuromodulation for her discovery of new therapeutic targets for Parkinson's disease. The highly competitive prize is awarded for outstanding research from the last three years as described in a 1,500 word essay. Gittis' essay will be published in the Aug. 3 issue of Science. In her essay, Gittis writes about how, while looking to understand the fundamental biology of the brain's basal ganglia, her lab discovered a class of neurons that could be targeted and stimulated to restore movement in a mouse model for Parkinson's disease. The human brain is densely packed with neurons connected in elaborate circuits. Electrical stimulation to targeted areas of the basal ganglia has proven to be a promising therapy for movement disorders. The most famous of these is deep brain stimulation for Parkinson's disease. However, the dense, complex circuitry of the brain can make a difference of mere nanometers between relieving a patient's symptoms and inducing unwanted behaviors. "Teasing apart the neural circuitry is not unlike the game pick-up sticks, in which a bunch of colored sticks are heaped in a pile on the floor and players must figure out how to remove them one by one, without bringing the whole pile crashing down," Gittis, associate professor of biological sciences and a member of the joint CMU/University of Pittsburgh Center for the Neural Basis of Cognition, wrote. To attempt to overcome this roadblock, Gittis was studying the genetic road maps in the basal ganglia, which is the area of the brain responsible for the motor symptoms of Parkinson's disease. Instead of focusing on the area of the basal ganglia commonly studied, she turned to the overlooked external globus pallidus (GPe). Using optogenetics, Gittis was able to identify that a subset of neurons in the GPe enriched with a molecule called parvalbumin played a critical role in restoring movement in the Parkinson's model. In fact, when these neurons were stimulated over other neurons in the GPe, the mice not only regained mobility but had their symptoms alleviated for far longer than any other treatment, including deep brain stimulation. Gittis' findings suggest that targeting these cells could repair neural circuit dysfunction in diseases like Parkinson's, not just mask the symptoms. She plans to continue studying these targets, and hopes to see if her findings can be incorporated in the clinical setting.